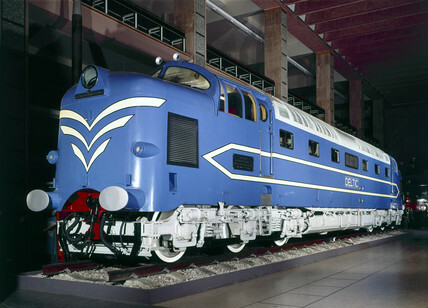 Prototype 'Deltic' diesel-electric locomotive, 1955. This locomotive was designed and built by the English Electric Co Ltd and incorporated two Napier 'Deltic' diesel engines producing 3300 hp. As the result of this prototype's performance, twenty-two further Deltics were ordered by British Railways to replace fifty-five steam locomotives on the East Coast main line between London King's Cros and Edinburgh.